My experience through Winifred’s workshop was an awakening. The information was thought provoking and life changing. This priceless information is a unique opportunity for all to create a ripple of healing. Inner healing and growth are inevitable through working with Winifred. If you’re ready for a life change, this is it. I was pleasantly surprised to have experienced EFT again as it had been many years since treatment was available. It was very, very soft and gentle with extended relaxation for the day! I’m very pleased that I can use “tapping” as a tool to manage daily stresses. I had an amazing session with Winnie. She made me release some inner anxiety and in turn that released the pressure causing my vertigo. I can’t say enough about this natural process. Don’t be afraid to try it. Winifred Adams is the most iconic spiritual mentor one could have. She gives of herself nobly, helping others to become a compelling individual. She tackles a range of obstacles we all have in our life, including those less ‘fun’ or popular: death of a loved one, medical crises, mayhem, or just blowing off steam. Learning how to handle them, shape and define us. My work with Winifred has provided me clarity from removing those things holding me back to what is to be. Her method is simple, yet powerful elements of truth, what it takes, what to do and how to do it. Winifred is the very essence of my success, both personally and professionally – thank you! 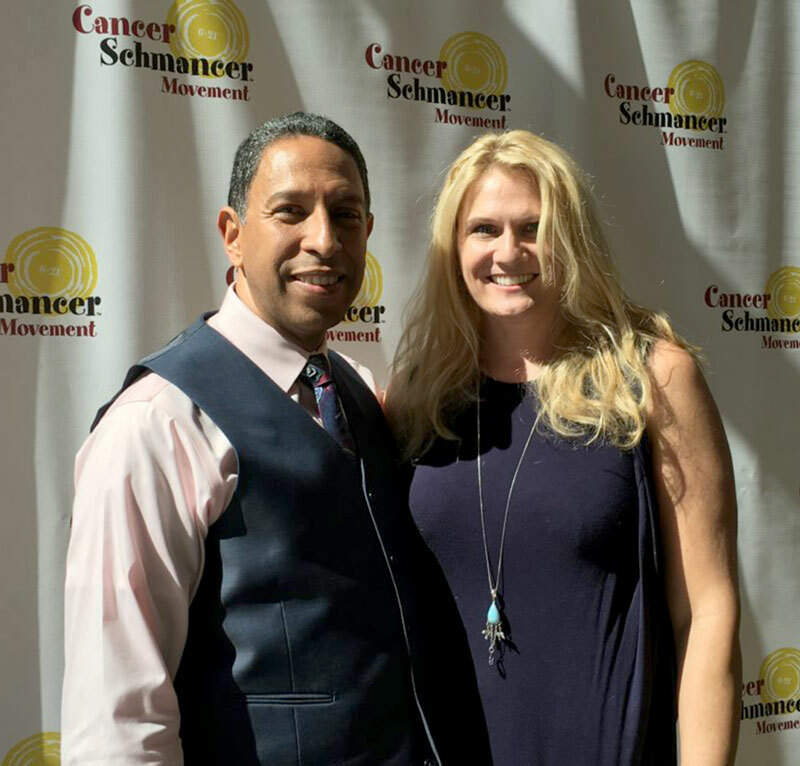 Connie Pheiff, Chair & CEO, Pheiff Group, Inc.
“I had an amazing session with Winifred yesterday and it was something I have never experienced. I went mostly out of curiosity because, honestly, I didn’t know much about her, but went with the flow. One look at her and I think OK, She is beautiful in looks and body. She is going to tell me you are overweight and you are on the verge of a heart attack, so eat a balanced diet with whole, organic raw foods and exercise regularly. Oh, yeah, and drink plenty of filtered water. Vitamins this and herb that. And that would be it. The same old song and dance. There was absolutely non of that. She is so not her stereotype. The image in my mind anyway. Forgive meWinifred.I was so wrong. If my judgements played out as they often do, I probably would have walked away without the blessings I gained from her yesterday. I cannot tell you how unassuming she is. I get so flustered by people who I deem better than me. And that is something that I need to work on and I am. It is a work in progress. So without giving out all the details of my life, something happened that finally made me say “Enough,” I have to change my life now, if this isn’t a big enough SIGN from the heavens above, my Spirit, my angels, then nothing will be. It’s sad that sometimes we have to fall that hard to make a change but looking back I’m grateful it did happen bc without it, I would probably still be living a lie. “I was severely injured after hitting my back on a large rock while surfing! I was surfing on a six foot wave and trying to make it around a well known, large rock obstacle that I have navigated many times before so to extend my surfing ride. Unfortunately, I did not make it around the rock and slammed into it going full speed. I had just enough time to tuck and twist and my lower back took the impact. My initial thought after hitting the rock was that I broke my back. The pain was very intense and I could hardly move. A neighbor and my wife helped me limp home. I immediately went to a doctor who took x-rays. Luckily it wasn’t broken. I was in too much pain to get an MRI so I went home to ice it and get the swelling down. The pain was getting more and more severe. I could not bend or sit at all without feeling like a hot knife was sticking into my back. My back nerves were on fire. During the next few weeks, I visited doctors, chiropractors, did accupuncture. I could not sit in a car and had to lie flat on my stomach in the back seat of the car while my wife took me to these appointments. Nothing was helping. Getting in and out of bed was a nightmare. Sometimes it would take me 15 to 20 minutes just to figure a way how to get into or out of bed. When the pain hit me, I would literally scream. Shortly after the accident happened, my friend, Winifred Adams, heard about my accident emailed me and offered to help me. I knew Winifred was a wonderful, loving person and had much talent in physical, emotional and spiritual therapy. At the time of her offer, I was in so much pain and was really worried that I really hurt myself badly and really did some permanent damage. I felt I needed “a real doctor” and politely declined her offer. After several weeks of appointments with “real doctors” and not much relief, I decided to give Winifred a try. At this time, I was in so much pain and was so humbled by this experience that I was ready to try anything to get some relief. It was too painful for me to get into a car and so I walked the approximate three quarters of a mile to Winifred’s house. The walk was more like a slow shuffle, with both of my hands supporting my back while I slowly inched along. It took my about forty minutes to make the trek to Winifred’s home. When I got to her home, Winifred immediately looked into my eyes and assessed the situation and knew what to do. I know every situation is different, but with my situation, she said that she could really help me. She explained to me that I wasn’t healing because I still had a tremendous amount of emotional trauma and guilt from the accident and my body was not yielding because of this. I became like a trusting child and listened to her every word. For the next two and one half hours, Winifred worked with me! She did emotional work, spiritual work and physical work. I won’t get into specifics as every situation is unique and I don’t want to mislead anyone or seem that there is a certain formula for healing the same way. 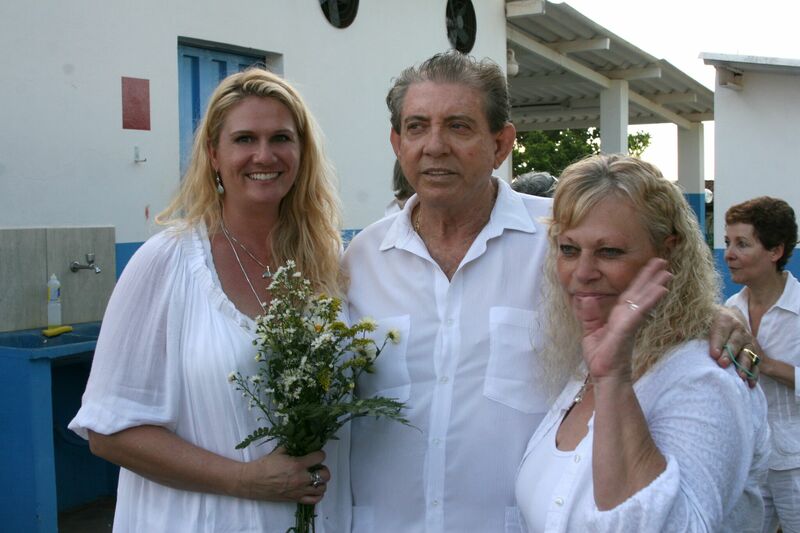 I was extremely receptive to Winifred’s treatments and guidance and followed her direction. She was very calm and loving throughout the whole process. Finally, she smiled and said I was done and to climb off of her therapy table. It originally took me about 5 minutes to climb onto her table as I was in so much pain when I moved the wrong way so I was scared that I would soon feel the cut of the knife into my back again. I slowly climbed off the table and there was absolutely no pain. Winifred then smiled at me and then told me to sit down in her chair. I again was nervous as I had not actually sat down on anything for about three weeks because of the intense pain. I slowly obeyed her and tried sitting. I was waiting for the pain to hit but it never came. I was free! “I started seeing Winifred in July 2014 (2 times a month) and by February of 2015, my life completely changed for the better. It’s now October of 2015 and I don’t even know who that person is from February. I now see Winifred (via Skype) once a month because I travel the world for my new job that I wouldn’t even consider work because I love what I do and who I work with so much. All of the anxiety, irritability, anger, fear, etc, that I used to carry around is almost absent (I am human;-) I am working towards (and it’s happening more & more, for longer periods of time) living in a neutral state of being; I actually find myself blissfully joyful and in gratitude more often than not. Now that I feel safe, secure and supported (by me:) I no longer have money issues and am actually saving money for my future. “I’ve been working with Winifred for a little over two months and the changes have been qualitative from the very first session. I’ve been to therapists in the past where I left feeling the same way I did when I arrived, with no resolutions. Talking, but no fixing. This has never been the case with Winifred. Each session has offered me healing, clarity, and progress. We have been working to eliminate the effects of emotional abuse, which for me included depression, anxiety, and addictive behaviors. I have made tremendous progress in all three areas and I can confidently say that she has literally saved my life. I recently went to Malibu for a healing intensive weekend and it was one of the greatest experiences of my life. I can’t think of a more serene location for healing. Winifred has created a safe haven and I felt like I was at home – or more specifically, the home I always wanted, but never had. All of our previous sessions had been through Skype and it was fun to be in person and have the iridology and herbology testing done to establish a personal supplement plan. Plus, I was also able to experience the crystal bed, tuning fork therapy, sound healing, and hands on therapy, which were all wonderful additional modalities to the regular EFT sessions. It was intense as we did a lot of work in a short period of time, but it was completed at a comfortable pace with plenty of time for rest and rebooting with the crystal bed. It was such a beneficial experience and it has allowed me to make a giant leap forward in the healing process. 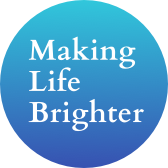 “Making Life Brighter” truly is making my life brighter! I went to Winifred after becoming sensitive to wireless technology and for emotional issues that I wanted to resolve. Feeling hopeless and unguided by conventional routes of medicine I tried EFT and Herbs with Winifred at Making Life Brighter. The first appointment I had with Winifred was the most detailed and comprehensive visit I have ever had regarding my health. I truly was and still continue to be amazed by Winifred’s approach and treatment. I went from not being able to work on a laptop and have a cell phone on near me to being able to talk using the speaker phone and use the wireless work equipment for my job again in 6 month’s. I continue to see Winifred for day to day ailments and to just stay on top of my health simply because I want to feel great! I recently had a few EFT appointments over skype with Winifred and I have had amazing results! I had needed to tackle some emotional issues that I felt were keeping me from enjoying this wonderful life that I have. Winifred is great at recognizing the source and addressing them during the sessions. After years of feeling numb, isolated, the inability to love and receive love as I wished, I can truly say that I am finally happy and better yet, I can feel again!! All this naturally. I am so thankful! Contact Making Life Brighter through this form to request a consultation for one of our many healing services. Winifred Adams and Making Life Brighter is dedicated to optimizing one’s health in an effort toward balanced equipoise, benefiting the body and welcoming the light of spirit into our daily life. Balanced expression of spirit through the human body in turn radiates to the world around us, spreading joy. Joy is the inherent birthright of every living creature on Planet Earth. There is no time like NOW. GO JOLLY!